The Solstice team has been hard at work selling business to new groups! 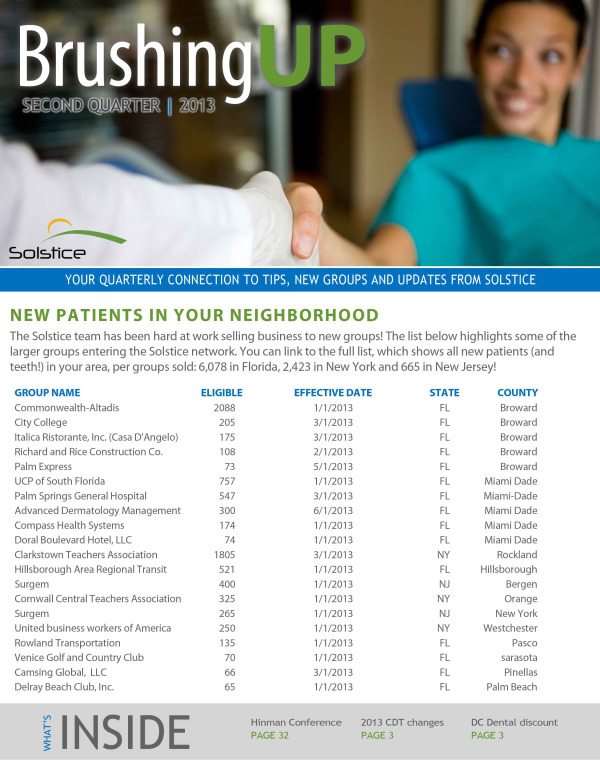 The attached PDF shows all new patients (and teeth!) in your area, per groups sold: 6,078 in Florida, 2,423 in New York and 665 in New Jersey!